I ate bacon for a year. Here's what happened. I’ve embraced being a professional bacon critic with all the seriousness and zeal it’s required. I’ve been to the Northeast and even the Far East, to the Midwest, the Mid-South, and even the Redneck Riviera on my journeys in search of the sine qua non of bacon. I purchased a bacon-cooking device that I secretly fear might murder me in my sleep if I leave it plugged in (“I’m sorry, Scott, I can’t do that…”). I chanced upon some bogglingly brilliant bacon in a Fairhope, Alabama, roadhouse. I ate seaweed that’s supposed to taste like bacon, and almost immediately regretted it. I got high on “bacon dust.” I even found out what the Burger King thought was the ultimate bacon cheeseburger (that king wears a paper crown for a reason). 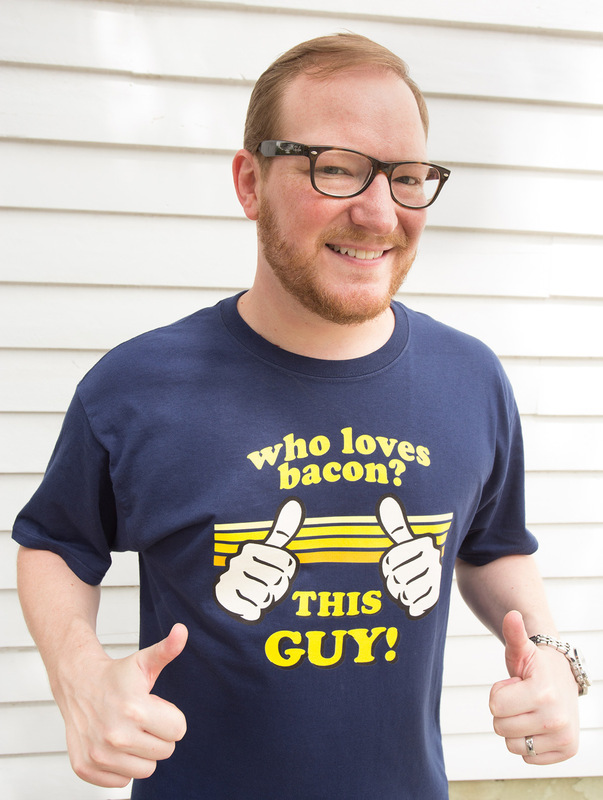 I judged bacon competitions in Alabama and in Chicago. I ate a plate of bacon in Rufus Thomas’s booth in a famous Memphis diner on the morning of Rosh Hashanah and had the waitress bring apples and honey to go with it. True story. And between the travels, I cooked. Oh my stars, the bacon I cooked! My house will smell like bacon for long enough that my wife and I suspect it will affect the resale value (this could be a positive or a negative, depending on the gastronomic proclivities of the eventual buyer). I had to procure a dedicated “bacon fridge” to store all my product. When the space in that thing ran out, I bribed my friends and family to keep my “to-be-tested” bacon in their home freezers. And now that I’ve named the best bacon in America I have to sadly conclude my duties as your bacon critic. I still have so much bacon on hand that I’m giving it away like Bacon St. Nicholas. It has been, in all senses of the word, an adventure. You’ve had questions, so let me take a second to answer a few of them. What is the state of your cholesterol, weight, and general health? I got this one most of all. Even before people asked me about which bacons I liked or ones that I’d steer clear of, they wanted to know if having this job was going to kill me in the near future. Something about the visceral connection to bacon and death is apparently intriguing to a lot of folks, but I’m happy to report that, though my cholesterol levels leave something to be desired, I’m no worse for the wear. My weight has fluctuated, but I didn’t do a Violet Beauregard and balloon to the size of a Volkswagen, only with bacon fat instead of blueberry juice. My doctor even did an ultrasound on my liver using a machine originally invented for testing the ripeness of fancy cheeses (totally not making this up), and showed that, while a little fatty, I’m nowhere near the Danger Zone. I’m going to be fine, Mom, I swear. This is an excellent question, and I always welcome it. I have cooked bacon in most every fashion that someone, at some point, thought might be a decent idea. In a skillet. On a flat top. Deep fried. Sous vide. With and without a bacon press. In the oven on aluminium foil. On a barbecue grill. And so on. But unequivocally, the best results I’ve had, in all my bacon cooking, has been thus: on a wire rack atop a sheet tray in the oven. The time and temp will, of course, vary depending on the thickness of your bacon, but the fact that the product gets solid heat on both sides throughout the cooking process while also draining off the excess fat and making sure the entire slice crisps up evenly makes this method the go-to for both myself and most of the chefs and producers I’ve met along the way. I recommend starting at 400F, check at 12 minutes, and go from there, depending on your desired degree of crispiness. Then, of course, you can strain and reserve that glorious rendered bacon fat. What do you do with all of that bacon fat? Currently, I calculate that I have about 42 ounces of pure, artisanal bacon fat sealed and ready to go in the fridge at a moment’s notice. To be fair, my colleagues at Extra Crispy have some really great recommendations for your leftover bacon fat, but my personal favorites are 1) Making a bacon vinaigrette for salads, 2) Frying potatoes in the skillet with plenty of spices and fresh herbs, 3) Frying anything, 4) scrambling eggs, and 5) spreading on hot, thick, crusty toast instead of butter. Trust me on that last one. It might change your life. How do you feel about pre-cooked bacon? My opinion on this matter can be summed up by the phrase “any port in a storm.” If you really need bacon, and this is your only option, do it. Say, for instance, you have a recipe that calls for cooked bacon and you realize that you don’t have any bacon at all in the house, and oh hey, your dinner guests will be arriving shortly, then go for it. If you are a supremely lazy person who just wants bacon to throw into a quesadilla without any splatter or having to turn on an oven, it’s fine. But for me, and I suspect for the majority of bacon-loving masses, cooking it just right is one of bacon’s many compelling attributes. The difference between pre-cooked bacon and truly great bacon is the difference between Folger’s crystals and single origin beans sourced from a particular region of Ethiopia and meticulously ground in a ceramic burr grinder before being steeped in ultra pure spring water from a local glenn. You’ll still get something like what you’re after, but you sure ain’t getting the best, or even something close to it. Are you totally sick of bacon now? Hardly! If anything, I now have a deeper appreciation for bacon than I ever would have imagined. To make this a pretentious literary analogy: Once you’ve discovered a love for Goethe and Shakespeare, Dante, Cervantes, Homer, and Ovid, Nicholas Sparks really doesn’t cut it anymore. If someone serves me Oscar Meyer bacon at their house, I’ll happily eat it—I have a Wienermobile weeny whistle on my desk as this very moment—but that doesn’t mean I won’t long for greatness. What every writer who finishes a huge project does: Go to our secret, skull-shaped volcanic island, don a svelte silver lamé jumpsuit and wicked shades, and help plan our takeover of the known universe. And I’ll probably eat more fish.